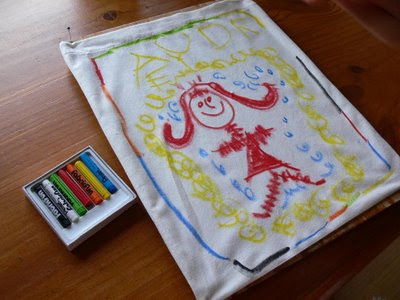 Audrey and I had a few quiet moments so we whipped up this drawstring bag for her to decorate with fabric crayons. 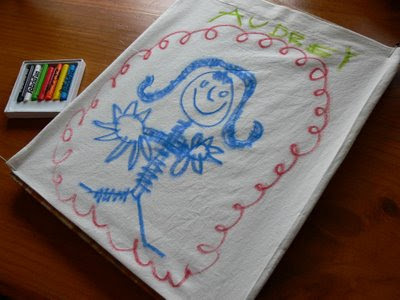 I love how her drawing is developing... love the attention to detail with the fringe and the borders, a new addition to most of her drawings. And of course, one must draw one's name right up the top front and centre... Cute huh?